Somebody thought that war was like eating sweet bananas. Somebody thought that Al shabaab was ‘already squatting’in resignation and that pushing them down was that easy. Sombody, and that is KDF was totally wrong! 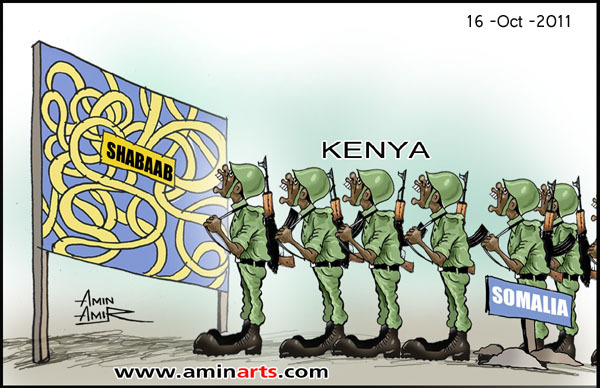 Somebody please explain for me what is the reason for al-Shabaab’s existence and what are they struggling against. Just like Hamas & Hisb Allah came into being as a result of Israeli aggression, I want to know some of the history of al-Shabaab told from the perspective of a Somali. you people are stupid.y wudnt the stupid somalis welcme anythng other thn shabaab.kdf halted their offensive 2 gv humanitarian aid.if somalis dnt cros over 2 kenya we’d hapily liv the clans 2 kil each atha.we shud bundle the refugees bck n mayb their wil b peace in kenya.dnt thnk we do ths coz we luv somalis. Ignorant writers with no information regarding the operation are busy yapping as if they are authorities on the issue. I have read and re-read your article and it screams Ignorance. I am an insider and trust me, If you have the real picture you will be so ashamed of your folly once you see the full picture. You can decide to go ahead and engage in urban warfare in the streets of Kismayu, kill loads of innocent civilians and lose valuable support and source of intel or block all routes used to supply the Al Shabaab militia in Kismayu, leave them without supplies, weakening them in the process. I can go on and on but its clear that your thick skull wont absorb all the details. Please write your comments in proper English. Also, there is no need to be rude. Look above, and please answer my question. I am stranded! For I do not know what the truth is. Another foolish somali expressing his/her ignorance; ofcourse (you get no medal for this!!!) this fool may be writing from Nairobi, using our infrastructure to insult an army that has done what they (somali refugees) failed to do in their country – liberate it. Alshabaab pushed too far this time and inspite of their tirades (or those of their paid hands such as the author) we shall eliminate them, one empty mucus filled skull after the other, until they are all gone to hell. And by the way we dont have to tell you what the objectives of this war are.. eliminating alshabaab is a clear very concise objective: whether to satisfy your curiosity we have to let you know exactly how many bullets we shall shoot and when… well that’s too much work… unless ofcourse alshabaab should be so candid and let us know their objectives apart from kidnaping tourists from a country that accomodates it’s refugee brothers and sisters. guys and ladies please refrain from responding to the writer, your ego is at bay and you will feel the urge to justify kenyas military invasion and in the process give very valuable intel that you may know being Kenyan or foreign citizens leaving in kenya or outside kenya…or you can give him (the writer) a break and let him practice his english. By now the writer should have sobered up to the reality that KDF has done what super powers failed. Ask British and American intelligence guys, they will atest to the fact that this is sending Shivers down their spines. 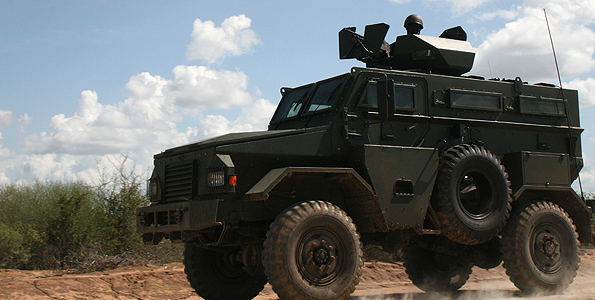 Thats why they are scrambling to be part of the KDF victory in Kisimayu…. How comes you judge Kenya depicting them as idiots who dont reason before embarking on anything.